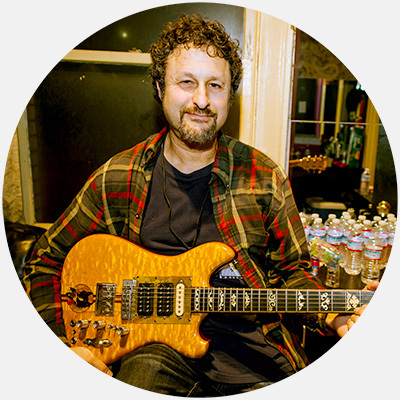 Bob Minkin is a San Francisco Bay Area based photographer. Bob has photographed thousands of concerts in clubs and arenas across the USA and Europe. His photographs have been featured in many books and publications such as Rolling Stone, Time Magazine, Relix Magazine, Marin Magazine, Entertainment Weekly, Guitar World, Guitar Player and in music CDs and DVDs. Photographs are available for licensing. Bob’s latest coffee table photography book, The Music Never Stopped was published in 2017. His first book Live Dead, The Grateful Dead Photographed by Bob Minkin, was published in 2014. Bob is also a partner in Minkin Design + Marketing, a web design and marketing company. Originally from Brooklyn, NY, he lives with his family in Marin County and enjoys hiking on the many trails of Marin and piloting his Piper Cherokee airplane whenever he can, usually with his camera close by.